Chipped Tooth? Toothache? Need a Tooth Pulled or Root Canal? When you’re in the middle of a dental emergency, you want help ASAP but you also want to be sure that you’re getting the best possible quality of care. 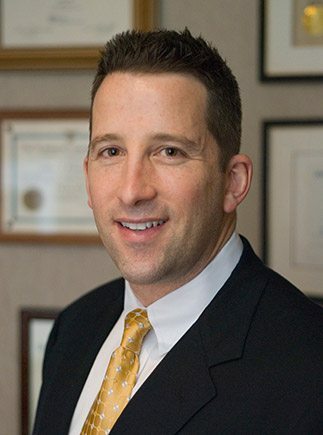 You can trust Dr. Eric Abrams, an award-winning dentist with outstanding credentials and 19 years of experience. The difference at Princeton Park Dental is the quality of ultra-personalized service that Dr. Abrams and his team provides each and every patient. Your comfort matters, At Princeton Park Dental Associates it’s understood that many people are apprehensive to see a dentist, especially if they are experiencing a dental emergency. It’s our job and our pleasure to do everything possible to make your visit as comfortable as possible. If you have special concerns or fear of pain please let us know ahead of time so we can personally address your specific needs with various options. Princeton Park Dental Associates is committed to providing the highest quality and affordable dental health care. You have multiple options for payment available. For your convenience, we accept cash, personal checks, VISA, MasterCard, and Discover. Princeton Park Dental Associates does not submit insurance claims directly. However, all necessary forms and documentation are provided so you can submit your own claim should you need to do so. Please refer to our office policy and payment details. Though it will be difficult to diagnose your exact dental needs without seeing you, we will provide you with our standard fees for the most common emergency dental treatments such as a tooth extraction, filling or a standard root canal. Just call our office and we can provide you with a rough estimate for standard procedures.